Take your barbecue up a notch with Stock Yards® Steak Burgers. These handcrafted gourmet patties may look like a burger, but they eat like a steak. That's because they're made with 100% Black Angus Chuck for exceptional flavor and tenderness. 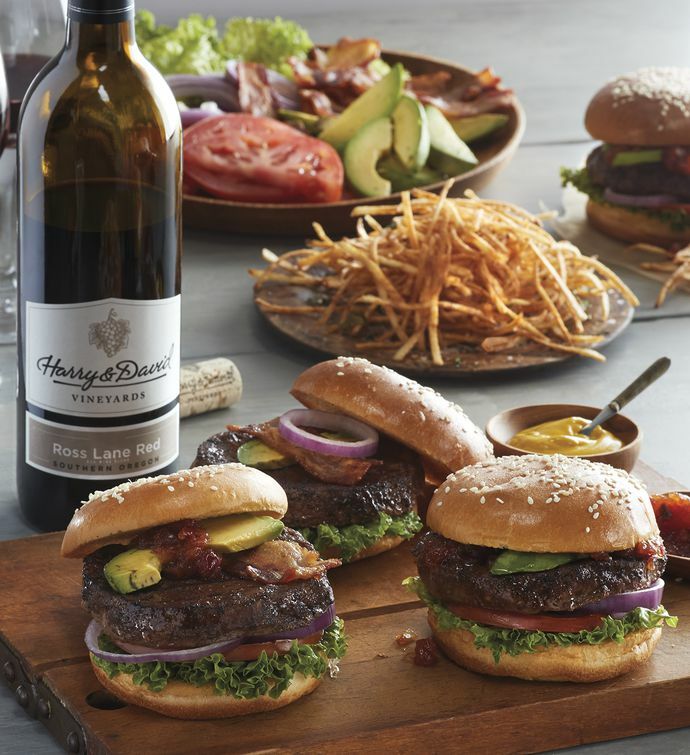 USDA Prime-certified, this selection arrives with a bottle of Harry & David™ Ross Lane Red blend.